POSTED BY Archana Luthra ON 05-Dec-2018. India has many breathtaking wildlife destinations. If you are a tourist or on an adventure holiday here are 13 Amazing Ways to See Wildlife in the Wild in India. Set at a highest altitude in the coldest region spread over 4400 sq km. Spot the rare snow leopard, Sambar, and other wildlife with 17 bird species. Best time to Visit: May to September; Closed in November. The first National Park in the continent of Asia has several wild species such as Himalayan Tahr, Goral, and Serow to name a few. Best time to Visit - November to June; Best time to see Tigers - March to May. Spot Royal Bengal Tiger in their natural habitat in this region over 1,334 sq km. Jeep safari, elephant safari and canter options available. Best time to visit Ranthambore National Park – October to June; Best time to see Tigers - March to May. The only place on the entire globe where you find Asian Lions. Other wildest jungle species are striped Hyenas, India Fox and Hyenas and rare bird species and wild reptiles are also found here. Best time to Visit - December to April; Closed in June. This is a scenic forest land surrounded by lush forests with a lake, hills and only place to find the barking drear. Other wild species include Leopards, Tigers, Gaur, etc. Best time to Visit - October to June; Best time to see Tigers - March to May. This tiger reserve nearly 500 sq km borders Maharashtra. View Wild Boards, Nilgai, and Leopards in addition to dry forest land, deep sheltered valleys, and wet vegetation regions on hill slopes. A natural habitat especially for the protected species with protected areas filled with many tiger sand famous for the Royal Bengal Tiger. The kings of ancient times hunted in these jungles. Best time to Visit Bandhavgarh National Park - October to June; Best time to see Tigers - March to May. A dense forest with rare wildlife like Smooth Otter, Antelopes, Sambar, Black Buck, Spotted Dear, Leopard, Porcupine and Sloth Bear. A total of 125 tigers including Royal Bengal Tiger and rare wildlife like Elephants, Black Panthers and Pythons are found in this ‘Jungle Book’ by R. Kripling. Best time to Visit - October to mid-June; Best time to see Tigers/ Panthers - March to May. Spread over 4624 sq km it has thick mangroves with roots shotting out of the waters. Many reptiles, salt-water crocodile and rare birds make home here. Spot Fishing Cats, Leopards, Macaques, Grey Mongoose and Wild Boar. The specialty of this National park over 429.69 sq km is the One Horned Rhinoceros. This is a wild ancient jungle recognized as UNESCO World Heritage Site with wild elephants and various bird species too. A 4 hours drive from Kaziranga this UNESCO World Heritage Site borders Bhutan and is Project Tiger Reserve. 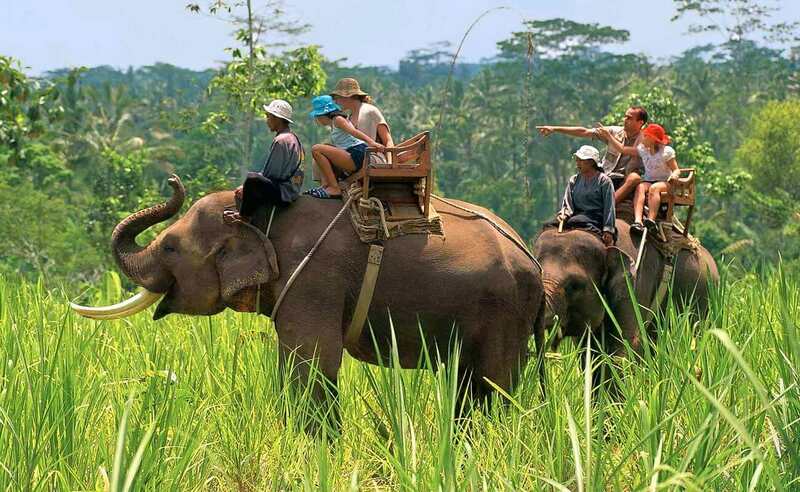 Enjoy elephant rides, raft excursions and jeep tours viewing protected species including pygmy hog, and rhinoceros. Best time to Visit - October to April; Peak Wildlife time - January to March. Set in the backdrop of the Western Ghats this wildlife sanctuary spread over 192,000 acres houses tigers and rare tropical bird species.